This is the story of a young Muslim woman living in Scotland who has lost her husband to a car accident and has left her one-year old son back in Khartoum with her mother-in-law, as she cannot cope with her loss. She takes on a job of translating and has to return to Africa where she must confront many aspects of her life. Without spoiling the plot -- this author doesn't explore the mother/son relationship, doesn't explain a conversion from western religions to Islam and just falls short of what I expected. Sending in postal trade to Laura0141 in Scotland. Enjoy!!! This is a beautiful, lyrical love story - I would not demean it by labelling it 'romance.' Set in Aberdeen and Khartoum, it is the story of Sammar and Rae and the things that divide them. Ten out of ten! Arrived today - thank you so much Laura! I will read this as soon as I can; although I do have a little backlog at the moment, it's not as large as it has been! I really enjoyed this novel - thank you again for sending it to me, Laura0141. I thought that issues of religion were done subtly, but I think that if one hadn't read a lot of books about Muslims, and was not familiar with Islam, it would be a bit lacking. It's difficult to find a middle ground between not enough information and those endless glossaries telling you about things you already know! 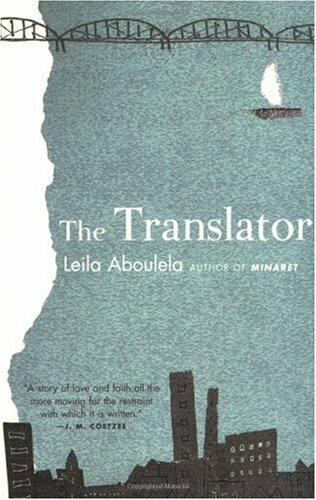 I really enjoyed the musings on translation and the differences between Arabic and English ways of saying things - this added an interesting dimension to the novel. I loved the Scottish setting and really enjoyed this gentle read. I'm going to make this available on a BookRing in due course, as I can think of a few people I know who will be keen to read it! Jaenelle US (US only) <------ it's here! Doesn't need to come back to me - and thank you everyone for a successful bookring! Gave to Katisha50 this evening. Thanks, LyzzyBee, I'll get to it as soon as I can. Just letting you know the status of this book. Really sorry to have kept it for so long, but I have nearly finished it now and will send it to Brumbie when I come back from a few days oop North. I am quite enjoying it; the storyline is fascinating, but I'm finding it a little difficult to get into the writing style. Perhaps I shouldn't try to read books that need thinking about during marking time! Received today - thanks Katisha. I'm reading the Yacoubian Building at the moment so will bump this up on my tbr to read next aspart of my current Islamic reading theme. 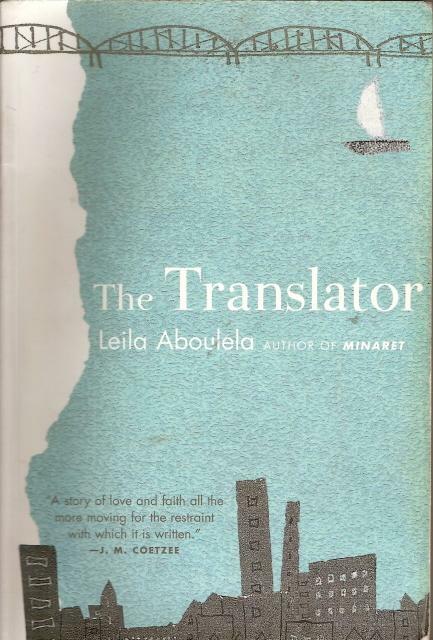 As a love story I really liked this, particularly the well described and contrasting settings of a Scottish University campus in winter and a Sudanese home in summer as an extended metaphor for the two protagonists - the uptight Scottish academic orientalist and the gentle, warm Sudanese translator. I found the idea of Rae converting to Islam somewhat unconvincing. I agree with LyzzyBee that the reader needs to have some knowledge of Islam to understand Sammar's point of view but I also appreciate what she says about not boring the reader with too much information. Much as I enjoyed this novel, I found the ending weak and unlikely and wonder why Sammar fell in love with Rae. The complicated issue of Sammar's marriage to her cousin Tarig might have been explored more in more depth so that the contrast between the original Islamic marriage and the new, European version, affectiing two very different individuals, could have helped explain the adaptation of Islam to the western world. I think there is a much deeper novel to come from Aboulela in the future and I look forward to reading more of her work. This book will be on its way to FrenchNicola tomorrow. Just finished this book and am kind of ambivalent about it - while I enjoyed the book's subtlety, perhaps sometimes it should have gone in to more depth to explain why Rae and Sammar do what they do...and to explore both their relationship and Sammar's relationship with her mother-in-law further - there were occasional hints at it, but it never quite delved enough for me! Still, it was an enjoyable read - best in the middle I think! I have Winterson's address, so will send it off to her in the next day or so. Hmmmm... not really sure what to make of this. I think I have to agree with some previous journals in saying that the book could have made more of what it had. It was an easy read which did hold my concentration, perfect for life with a new baby, but sometimes the phrasing was awkward and some relationships and events seemed a little shallow, for want of a better word. But... I did enjoy it and it's kept me going through a night feed or two! Hi, the book arrived today! I tried to get into this book, only i had a lot of trouble. I am sorry I have kept it for such a long time. I didn't manage to finish it. I didn't find it very gripping. Thak you, The Translator has arrived. I have just started on The Translator - I am so sorry to be so tardy but my last book just took me forever and as it was part of a spiral I didn't feel I could give up. I'm afraid I found this a hard one to get into and I never really settled to it. It was a struggle. I have flutterbies9 address and shall send it on tomorrow. Happy New Year to you all. Received safely today despite the snowy weather. Varied and interesting reviews on this so I'm interested to see what I make of it. As I am in the process of reading another ring book, this will be top of the pile after I am finished it. I come from Aberdeen and this is the first book I have read that features the 'modern' Aberdeen in such a way that I could tell where the places were and picture the statues, buildings and the cityscapes (though not the people). A touch of extra sentiment for me to visualise the places I've known all my life. A strange yet enjoyable and easily read tale. I agree with istop4books about the lack of exploration of mother / son relationship and Sammar's relationship with her mother in law; I agree with LyzzyBee about the musings on translation and the differences between Arabic and English ways of saying things; I agree with Brumbie and FrenchNicola that the relationship between Rae and Sammar is not explored in any depth; and have come to the conclusion that I also feel that there is more to come from this author as she matures her writing. I'm very glad to have had the opportunity to read this book so thanks to all for sharing. As Scotsbookie has asked to be skipped, the book will be on its way to Famulus as soon as I can get to the Post Office. Sorry for the delay. If I can get someone to take this to the Post Office for me before the weekend, I will. Received in the post today - many thanks Flutterbies9 for sending this on, it's next on my list to read. Apologies for delay in reading this - I diverted it to a friend recovering from a major op, whose need was greater than mine! She enjoyed it very much, and said it was just what she needed to wake up her brain after a few days under sedation and a whole week in intensive care. I've now read it myself, and have enjoyed it thoroughly. I agree with Brumbie that the ending was a bit unlikely - I'd be willing to believe in Rae's conversion if we'd been given more understanding of his point of view on this matter, but perhaps that's not possible in a book written from Sammar's PoV. I think it would have been equally unsatisfying if he'd converted as a matter of form, or if she'd accepted him without conversion - and, of course, they couldn't just have gone their separate ways! Anyway, a good read, and I'll keep an eye out for her next novel. Will PM Scotsbookie for address or, if they still want to be skipped, will try purplerosebud. Posted on to Scotsbookie - enjoy! Arrived safely, thank you famulus. This was an easy book to read. I agreewith what has been said about the lack of depth & exploration of the relationships between Tarig & his mother, Sammar & her mother-in-law & even Rae & Sammar. Nevertheless I enjoyed the story & look forward to seeing this author develop. Gong of in the post to PurpleRosebud this afternoon. Arrived today, quite a surprise as I had completely forgotten I was on this ring. Hope to get started on it very soon. Sorry, never got around to reading this one but sent it on its way today. Received safely today. Will start reading this as soon as I've finished my current read. I loved this book. I agree that the ending was a little disappointing and I would have liked the mother/son relationship to have been explored further but they are minor quibbles as far as I'm concerned. I've been unable to contact birmingham-rose so will send to karen07814 as soon as I have her address. An incredibly slow gentle book. Rather too long for me for the amount of things that happened. As with others I would have liked mote explanation of the relationship with the son, particularly feelings in the period estranged. Thank you, karen07814! The Translator arrived today and looks interesting — Arabic literature usually does. It’s hard to say anything the previous journalers haven’t already said, so I guess I won’t even try. In the beginning, I had to struggle a little. Like Katisha50, I found the text somewhat difficult to read because of the writing style. I wasn’t expecting western-style fluent text, something European and especially (North) American authors write. But this didn’t sound African let alone North African either. In fact, it brought Alexander McCall Smith into my mind. (Alright, I’m no expert. I’ve only read two translations of .The No. 1 Ladies’ Detective Agency, and that was quite enough.) Leila Aboulela uses same kind of short sentences McCall Smith does, sentences with periods far too large. A full stop at the end of sentence should not mean full stop of a thought in reader’s mind. It does, however, in the way these African Scottish authors write. So, reading was slow at first. But it got easier and I started to enjoy the story. Sammar requesting Rae to convert made me ponder why, exactly, some people convert upon marriage and others don’t. Rae, of course, didn’t have a choice if he really wanted to marry Sammar, her being a Muslim woman. Yet I, too, wanted to know more about his thoughts but, as Famulus already pointed out, the story was told from Sammar’s point of view. Fiction imitates life, and in real life we don’t always have the big picture. Like many others, I wish Aboulela had explored more profoundly the relationships between Sammar and her son, Sammar and her mother-in-law and also Sammar and her late husband. Now Sammar seemed to be coming more from an individualist culture than a collectivist society which I think Sudan is. The second part of the book was clearly shorter than the first one, I found it also weaker. I wanted to learn more about Khartoum, Sudan, and Sudanese culture, I’d like to know if it’s still traditional or changing all the time. Now the book was mostly about an individual called Sammar, her hopes, disappointments, etc. Usually, I care more for other things than the plot. But somehow I got absorbed in this love story. I liked the book a lot although the ending was absolutely unrealistic – no, I loved it. Thanks for sharing it with me, LyzzyBee! I’ve PM’d the next one on the list. I’ll make a new entry when .The Translator is ready to travel again. LadyTrinity never replied, I think she might still in hospital. That's why I didn't PM her again but, as agreed with LyzzyBee, PM'd Maria-Nunes instead. The Translator is on its way to Portugal now. I wil try not to keep it too long. Current reading and I am loving it! I find the book very interesting indeed and I like the spot as well. I've already sent pm to the next on the list, because I am only about 25 pages from the end of the book. Arrived in Athens. Thanks LyzzyBee for including me in the ring, and Maria-Nunes for posting the book to me! On its way to New Zealand for Sherlockfan's turn. Enjoy! Thanks very much to all involved and specially to okyrhoe who sent it to me. The book arrived here after in far-away New Zealand today after a long trip. At least books don't get jet-lag! I have a couple of book rings ahead of it but I'm quite a fast reader so it shouldn't be too long before I can send it on its way. I've finished this quite quickly and will now pm Jaenelle for her address. Not sure what I think of this tale. There was so much not said. Not that it was superficial so much as concentrating almost exclusively on Sammar's situation and feelings without exploring other possible relationships or wider issues. Perhaps I simply wished for more detail. The strange relationship with Mahasen, Tarig's mother bothered me although, thinking charitably, perhaps Mahasen was just totally besotted with her son and unable to accept his death. Rae was a bother. What caused his two previous marriages to come adrift? One we know about but I missed any explanation for the other. The contrasts between Aberdeen and Khartoum were well presented and gave a little bit of information about the latter which was new territory for me. I'm not at all familiar with Islamic life and the impact of regular prayers, nor the worship of Allah so a little more explanation might have been helpful personally. Nevertheless I found the story compelling and had to keep reading whenever there was a spare moment. Caught this morning; big thanks to everyone who passed it on previously, allowing it to get to me. Thanks also to Sherlockfan for the lovely New Zealand postcard! I appear to be the last on the list -- so I assume I am to send this back to LyzzyBee. I will post with my thoughts when I have read the book.